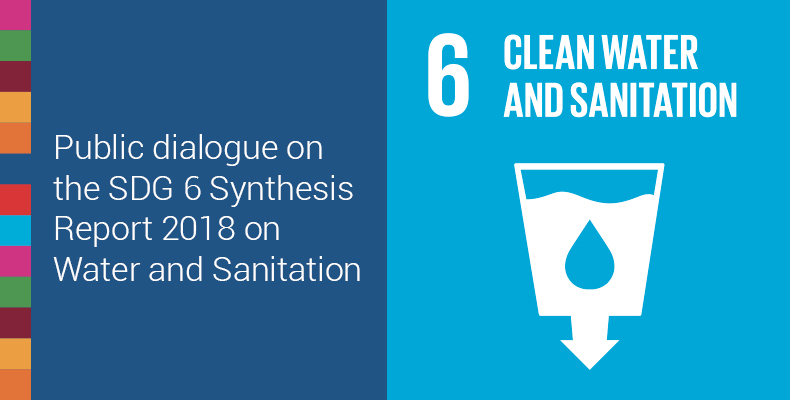 In June 2018, UN-Water released the first SDG 6 Synthesis Report 2018 on Water and Sanitation. The Sustainable Development Goal 6 Synthesis Report 2018 on Water and Sanitation reviews the global progress made towards achieving Sustainable Development Goal 6 (SDG 6) of the 2030 Agenda for Sustainable Development.The report represents a joint position from the United Nations family, and it builds on the latest data available for the 11 SDG 6 global indicators. The report informed the High-level Political Forum for Sustainable Development during its in-depth review of SDG 6 in July 2018, and a Public Dialogue on the SDG 6 Synthesis Report was open from May to September 2018 to discuss the report and its main messages. The feedback from the dialogue is presented in the SDG 6 Public Dialogue Report. Download the full report and/or the Executive Summary here.